Author and radio host extraordinaire Stuart McLean. 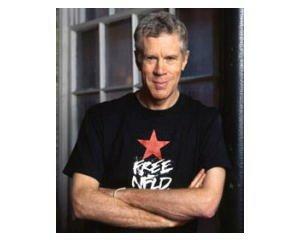 Stuart McLean is the author of Secrets from the Vinyl Café, published in the US by Riverhead. He’s host of The Vinyl Café, which airs on the CBC in Canada, and a few public radio stations in the US. We reached him via Skype from his office in Toronto. More of Stuart McLean's conversation on WUWM's Lake Effect.